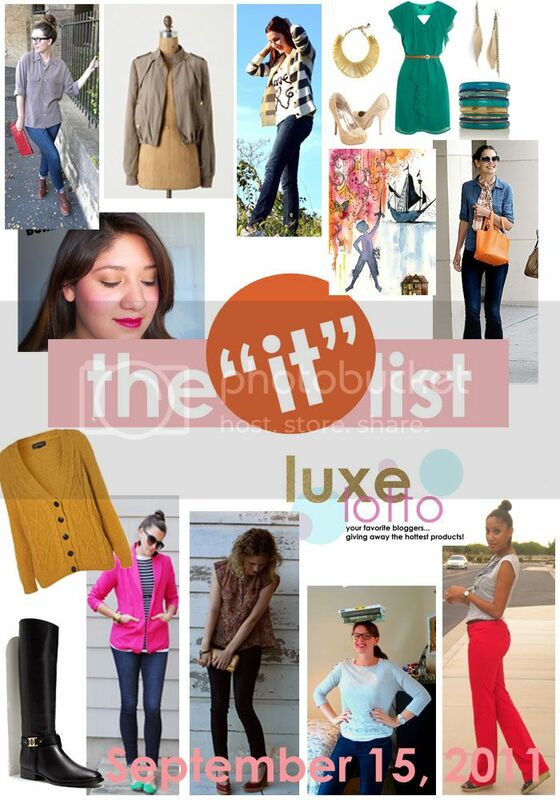 a spot of whimsy: the IT list. Friday already? Celebrate the weekend with some fun links! 100 inspirations recreates this great denim on denim outfit that Katie Holmes wears for less! simply bold says all you need is love... or at least all you need is a cute "love" t-shirt! I love this look! the IT list is produced weekly by Jill of good life for less - for information on how you can be involved, click here!